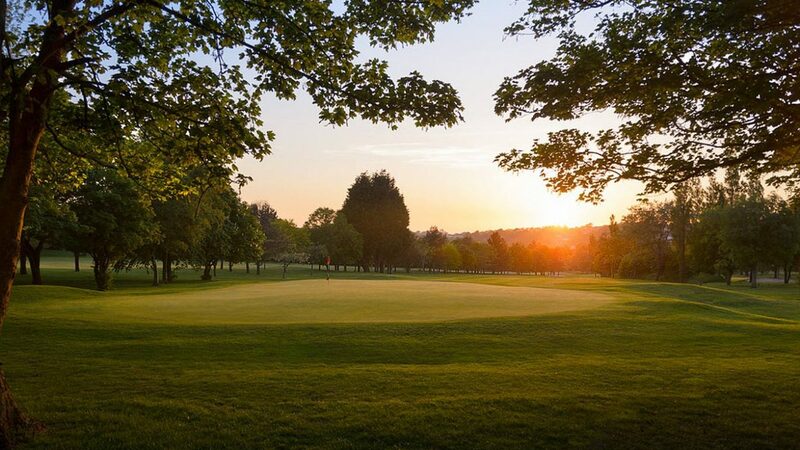 The superb parkland layout at Torquay Golf Club wends its way through avenues of mature trees offering a challenge which can be enjoyed by golfers of all standards. The mid part of the round affords fantastic views across Lyme Bay to Portland Bill in the east, and westwards to Berry Head at the furthest extent of Torbay, whilst away behind St Marychurch the tors of Dartmoor can be clearly seen. The course has a wonderful range of long and short holes. The start is demanding but there are chances to pick up shots as the course reaches the top of the cliffs and those spectacular views. There is some water as well as the trees on the back nine, so accuracy is rewarded. After the round relax in the excellent Clubhouse, sitting in the Bar or Lounge, or on the patio looking out across the golf course watching those behind you finish their rounds. An idyllic spot for a post round drink as you analyse your play and that of your companions. Torquay offers good golf all year round, a friendly welcome and a wish to come and play again in a different season to see the way the colours of the leaves change. A range of alternatives tailored to suit the needs of the visiting golfer, from golf-only through all combinations of food and drinks. Society golf every day except Saturdays and subject to availability. The Club can be found on the A379 Teignmouth to Torquay road, in the St Marychurch area of Torquay. Postcode TQ1 4QF. Book online for the best rates through www.torquaygolfclub.co.uk or call 01803 314591 and speak to the Pro Shop team. The Club has links with a variety of hotels details of which are on the website. Practice facilities, well-stocked Pro Shop with superb indoor coaching studio. Free Wi Fi throughout the Clubhouse.